What’s going to be big in 2019, interior-design wise? We’re excited about 3 trends in particular, but there are countless others to be jazzed about, too. Every year, the home design industry makes some projections about what lies ahead, relying on a ton of market research to do so. Designers, builders, craftsmen, architects, landscapers and more observe what their clients are asking for now, make some educated guesses, and voila! The results give us a better picture of what our future homes may look like, putting us ahead of the curve. This one topped almost every 2019 trends’ list. The design community notes that homeowners want to use eco-friendly materials in their homes, which means natural ones like stone, copper, and our personal fave, concrete. People are interested in sustainability and in new ways of achieving it, like laying a backyard with synthetic sod that uses no water or chemicals. 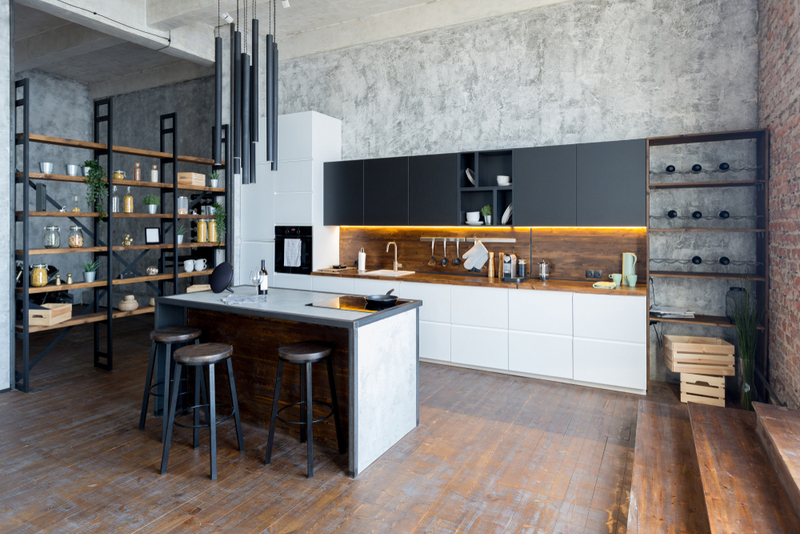 Spaces like the kitchen may be built entirely from environmentally-friendly materials, mixing them to create a unique look. Handmade pieces will be big too; not only do they help provide that custom look in the home, but the way they are made is transparent to the buyer. If we support local artisans or commission handmade pieces, we know which materials are used and are mindful of the energy expended to create and transport such pieces. If you’re looking for interior drama in 2019, turn to your walls. The design industry indicates that major statement walls will be everywhere. Gone is the subtle accent, now replaced by four walls of either bright and bold or dark and moody color. 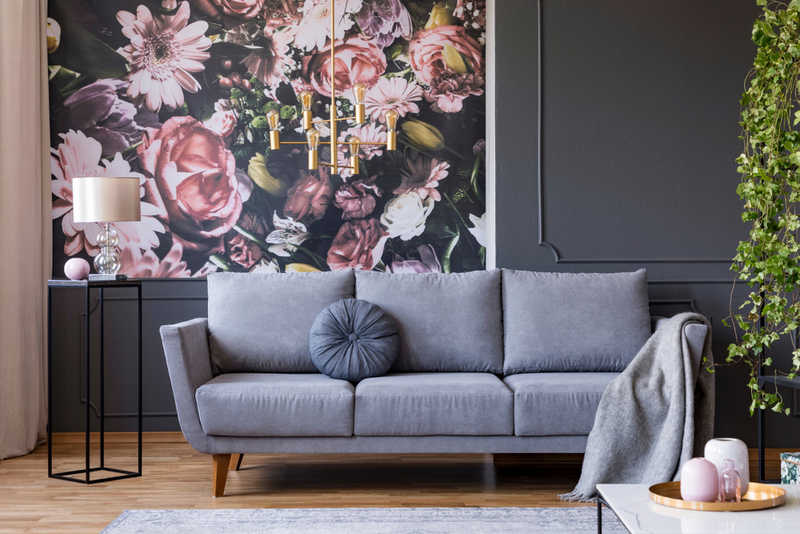 There’s an ornate feeling in general: look for elaborate molding, cinematic floral wallpaper, custom murals, and walls lined with textiles and other textures. The serene white and gray walls we’ve been seeing of late are quickly being replaced by a more dynamic and expressive look. Insiders say that bathrooms will continue to be seen as living spaces, rather than as functional spots where you’re in and out. 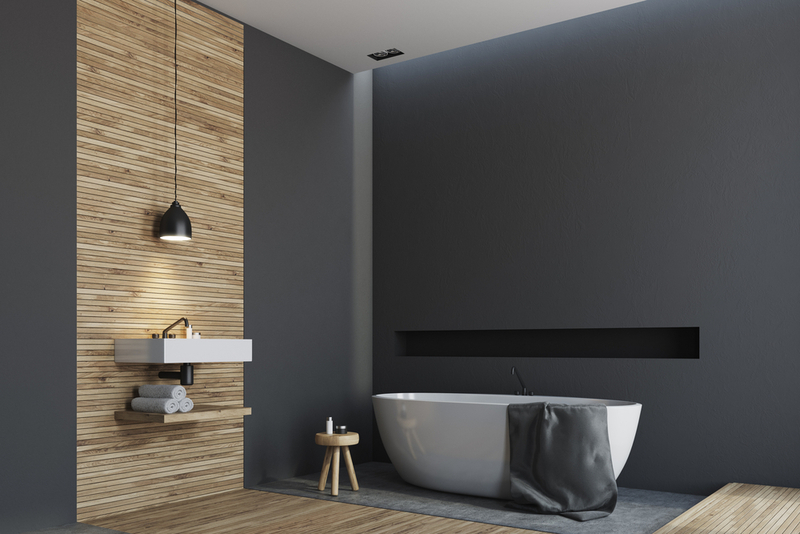 The trend is toward creating spas and retreats with free-standing tubs, dramatic wall color, polished fixtures, and a more open concept overall. The same is happening for kitchens. Backsplashes are going all the way up the wall to the ceiling, becoming a true focal point. Kitchens are also getting bigger, and the desire is to see them extend right into the outdoors. Sliders, panel windows, and seamless decks are making that happen, and flooding the kitchen with natural light, too.